Ceramic knives have amazing edges. By amazing I mean sharp with long term edge retention. Ceramic knives are typically made from zirconium dioxide (AKA zirconia). Many manufacturers produce these blades through dry-pressing followed by firing of powdered zirconia. The resulting blade has a hardness of 8.5 on the Mohs scale of mineral hardness. At the top of the scale sits diamond with a 10 while steel ranks 4.5 for normal steel This means a ceramic knife blade is significantly harder than steel edges. So the resultant blade stays sharper longer. The downside is it is less elastic and more brittle than a steel edge. These knives are typically designed for food preparation like slicing boneless meat, vegetables, fruit and bread. The non-reactive nature of the zirconia means it will not be affected by acid foods like lemons, apples or tomatoes. Like many minerals, zirconia undergoes several phase transitions which can weaken the blade. Minerals like calcium, magnesium and/or yttrium oxides can be added to stabilize the blade. These produce a white ceramic. A black-colored blade results from adding a hot isostatic pressing step, which increases the toughness. The blade is electrically non-conductive and non-magnetic so it isn’t seen by metal detectors. 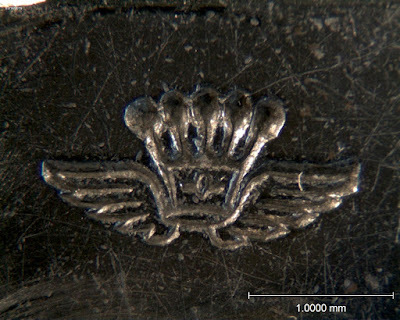 You’ll often find small ceramic blades sold as part of a self-extraction kit hidden in your clothing in those countries when kidnapping is a national sport. I’m guessing each of these defects are about 200 um in length. Could be from having blades in contact with each other at the factory. 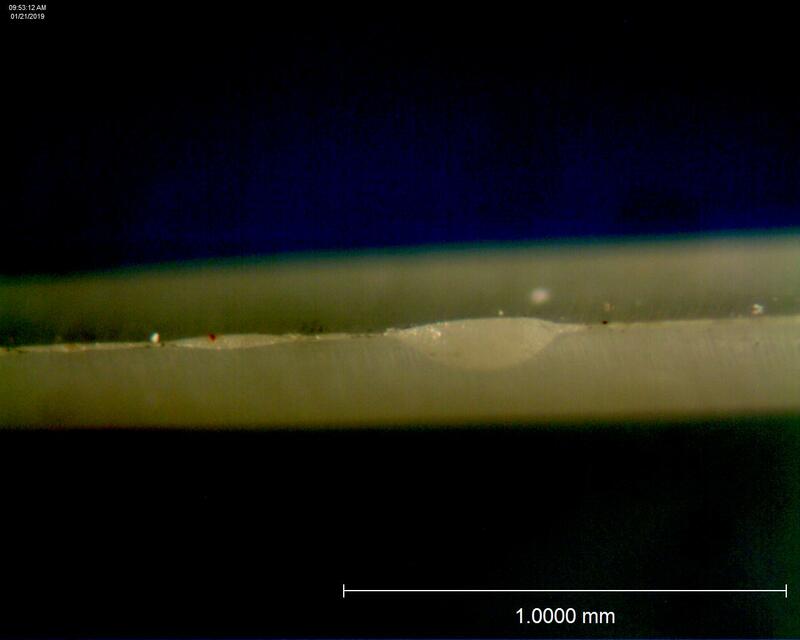 Looking straight down on the edge, even at +63 X magnification, the edge is difficult to find. But even here small defects from manufacturing can be found. While very tiny, they could be beginning of larger ones. 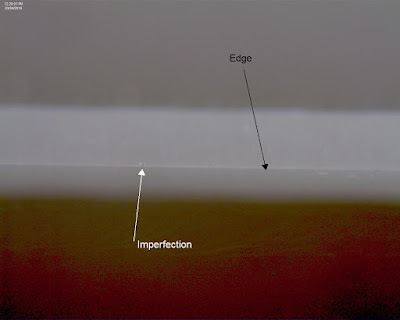 Seven year old edge,the big defect looks about the length as the new edge, but deeper. Dirty Harry once said a man has to know his own limits. With care the blade will last for years before sufficient damage forms to the blade edge making the knife unusable. The edge photographed to show you these defects still has years of cutting left in it. Despite the ‘dull’ spot this edge has plenty of life left. Last word, don’t try sharpening it yourself. Even with fine diamond powder, any uneven pressure will only cause more damage. Many of the manufacturers have a sharpening program you can take advantage of. I thought I would do something in green to commemorate the saint that drove the snakes out of Ireland and caused so many others to see them. It was October 2002 and Knives Illustrated published my very first knife article. It was about the green handled Spyderco Lum. I wonder what I would say now if I was writing the article. 2002 cover with my article, and no, I didn’t make the cover. I’d tell you more about the steel. Its Japanese steel designed by Takefu Special Steel Co. Ltd aimed at Japanese chefs. 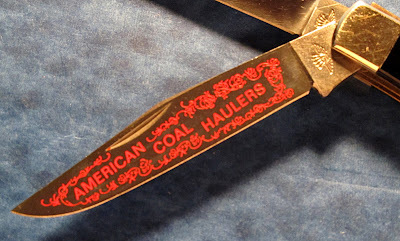 But since the steel is cooked with 1% carbon, 15% chromium, 0.2% vanadium, 1.5% cobalt, and spiced with 0.5% manganese and 1% molybdenum, it was soon popular with many knife companies. At the time it was a super-steel but now is considered simply really good steel. It compares well with ATS-34 and 154CM but the higher vanadium levels produce smaller grain size and better stain resistance and toughness. 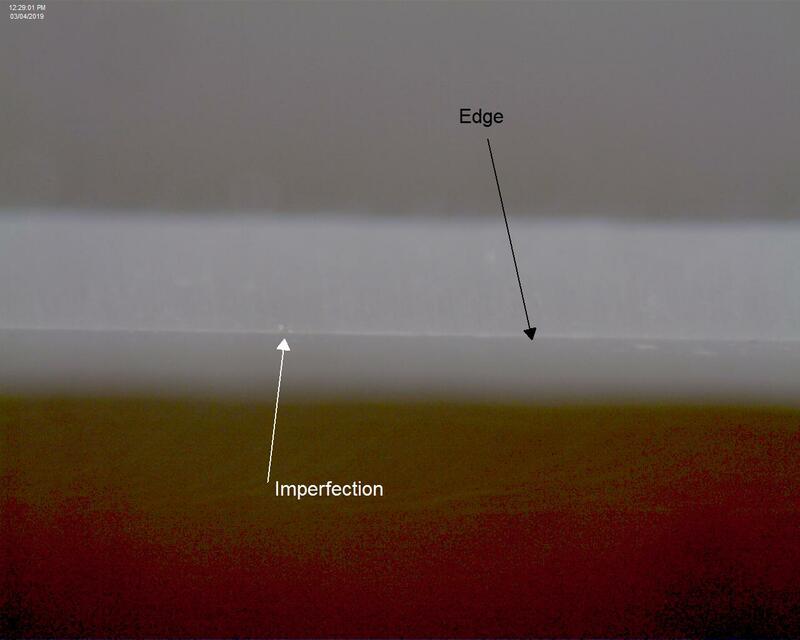 We’re talking edge retention improvement here. Spyderco told me the hardness was in the 58-60 Rc range. The blade was offered as a plain edge as mine was or fully serrated. The blade is a flat grind with a tapered leaf shape associated with many of Lum’s designs. The green Almite-coated handle is chamfered to soften both the looks and provide a comfortable grip. 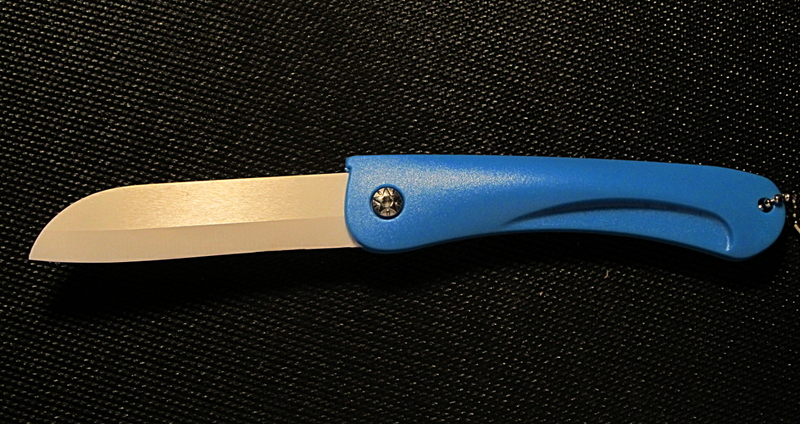 The knife is set up for right carry with an option to alternate between tip-up and tip-down. I’m a big fan of tip-up carry so I never changed it. Almite is an anodic oxidation process of aluminum with very good hardness. Bob Lum was born and raised in Astoria, Oregon and between hunting and fishing and his work as a freelance photographer he developed a keen eye for blade shapes and edges. 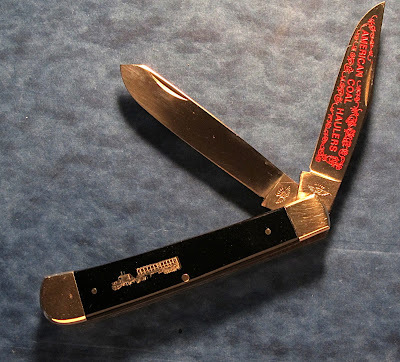 He started making knives in October 1976 and is considered the popularizer of the “tanto” style which he based on older classic Japanese style. The interest in tantos has not faded. They have generated a love-hate interest in the knife community and will remain an important blade option. Bob Lum’s chop. A nice touch of class. Lung cancer took Bob on December 4, 2007 at age 64. I still carry my Lum. It has become a dress knife and I wear it for weddings, funerals and anytime I need to notch up my attire beyond business casual. Spyderco still has Lum designs, but if you want a green Lum Chinese folder, you’re in for a search. Good Luck! Most of us think of shotguns when we read about the Remington Arms Company. Founded in 1816 in upstate New York, Remington holds the record for the nation’s oldest continuously operating manufacturer. It still operates in the original, but updated plant, in Ilion, NY. Remington also makes some of us think of knives as well. It’s only natural that a cross-over product is popular with the blade and gun crowd: the Bullet Knife. The first Bullet knife was introduced in 1922. Many variations of this collectible knife have been created since that time. These knives are often produced in limited qualities creating demand and keeping the price up as well. They are highly collectible. More modest lines are also created for users with limited resources who want a quality knife, but not a special edition. It should be no surprise in this day and age that Remington does not actually make their knives. Like S&W they license their brand. I will not say anything unkind about S&W knives. For the price they are a serviceable knife. Buck Knives has the current license and will be producing the 2019 Remington Cutlery lineup. 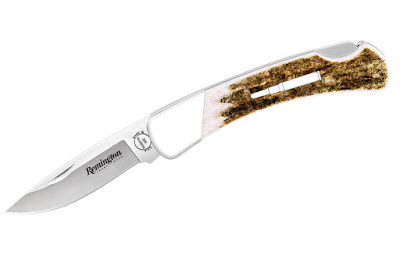 In 2017 they acquired the Remington license and have continually produced quality knives with the Remington stamp. It should come as no surprise that 420J2 blade steel will be the principle blade steel. Buck has extensive experience with it and produces a solidly performing blade. 420 steels range in carbon content between .15% and .40% with 12-14% chromium. 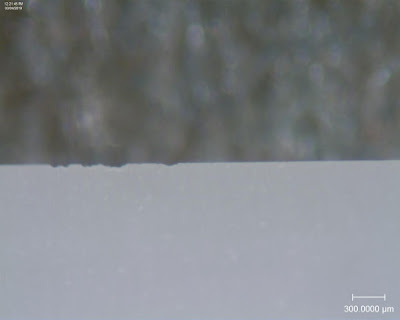 The steel reaches a hardness of 57RC after suitable heat treatment. Buck is famous for their proprietary heat treatment. 420B ( 420J2 ) is an economical, highly corrosion resistant stainless steel also used in diving knives. A super steel? No. But one you can count on? Yes. 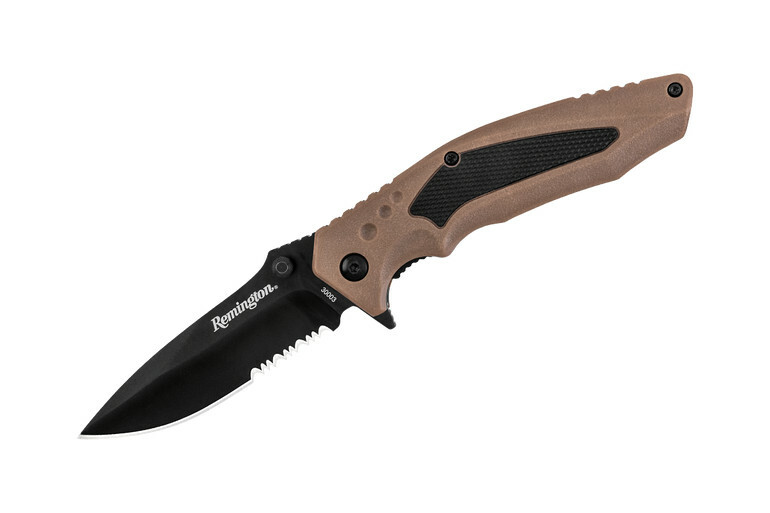 While I carry what might be considered a tactical EDC, Remington also has a smart line of EDC. These are medium to small pocket knives you can utilize at work, church and play without anyone thinking twice about it. Ah…Belarus, a small Eastern European landlocked country best known for its Stalinist architecture and grand fortifications. If you’re stopping for a tour, make sure you visit KGB Headquarters looming over Independence Square and the many Great Patriotic War monuments commemorating the country’s role in WWII. Sounds bleak, doesn’t? Especially the tour of KBG headquarters which could last 20 to 30 years. I really like the carbon fiber handle. From this country comes Dmitry Sinkevich, knife maker and artist. His knife designs are snapped up by companies like Spyderco and Zero Tolerance. It only takes a simple look to see why. Let’s look at his design, the ZT 450CF for example. The knife sports a 3.25 inch slice of CPM S35VN. More on this steel later. The blade is a saber grind, drop point with a long false edge and flipper. The blade glides open on KVT ball bearings. The front of the handle is carbon fiber and backed with titanium. 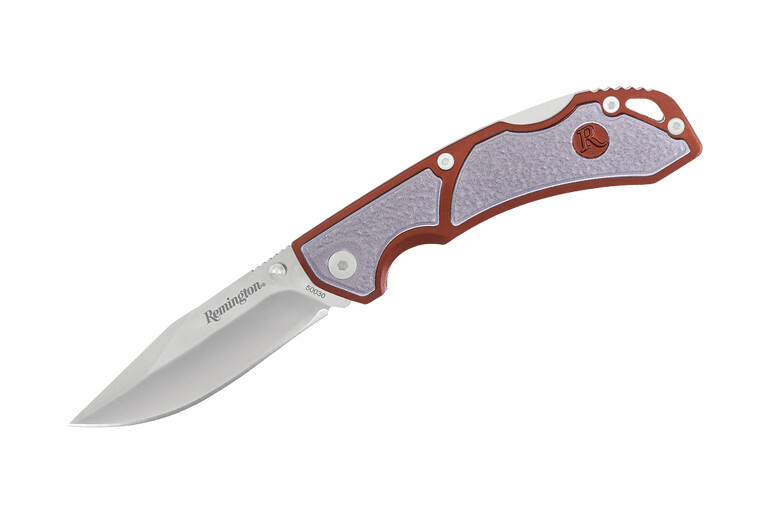 The clip is reversible and provides a relatively low profile look when pocketed. This makes for a very trim and graceful knife weighing in at 2.45 ounces. The lock mechanism is a standard frame lock, but because titanium can’t be hardened to the same values as steel, the locking bar sports a small steel insert that serves two functions in addition to locking the knife open. One, it takes the wear of contacting the steel blade and two, acts as a stop to prevent the bar from being pushed out beyond its elastic limits. The insert, in case you were wondering, is replaceable. The carbon fiber is striking. This is a very nice Gent’s Knife. S35VN is martensitic steel which contains 3% vanadium and 0.5% niobium in addition to chromium. All three elements are carbide formers, but chemical properties favor the formation of vanadium and niobium carbides over chromium. These two carbides are harder and finer in size than chromium carbide and reinforce the steel more. 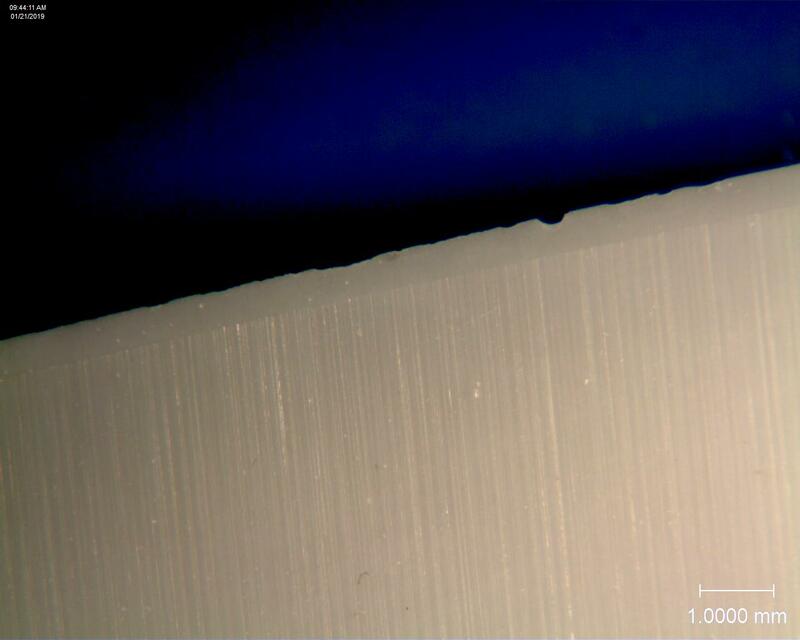 Tests by CPM indicate the steel has better edge retention, less wear and more corrosion resistance than many steels including 440C and D2. I like the open back and the green spacers are just for fun and very cool. The knife is strikingly impressive in my opinion. It fits my hand and the blade flicks out on the KVT ball bearing. The knife is set up for tip-up carry and the clip is reversible for left or right carry. I can’t take it for a test run, as it’s not mine to use. If ZT would like to send me a writer’s sample, I’ll run some cutting tests and expand this. The Sinkevich ZT450CF is light, trim and comfortable to use knife which is, bladed with a techno steel to give you long life and edge retention. Frankly, at the retail price of $245 it looks like a bargain.